Yoffy press came out with a new collaborative effort featuring three artists: Kota Ezawa, Tabitha Soren and Penelope Umbrico. Each artist has one part of the collection, all tackaling the word ‘Trace’ from their own viewpoint. I found this concept to be very interesting as a viewer. I found it to be interesting to not only think about the word myself or what in fact I would have done if asked, but to see how each artist brought their own world and artistic practice to the same, swimmingly simple, word. What I found captivating about this book was the feeling of movement within the publication. Each page changed the story, opened it up and shifted it. The monochromatic images are both abstract and informative at the same time – taking our visual world and breaking it down to simple shapes and graphics. Trying to think about the images in the context of the word ‘trace’ I found the images to be traces of culture, time and even color. The abstraction of the real world created these traces of hints and indexical references that allows the viewer to read their context without seeing it all and having it broken down in that way. In the second book we have the works of Tabitha Soren. This work was a great jump to a more photographic punch. The images are very emotional and full of color and contrast. What I found most exciting about the work is the layers within the image – the base photo juxtaposed with the fingerprint and smudges. There is a feeling of not only movement but a physical handling of the image – as if we are viewing these events via a screen or window and are touching the barrier between these people and us. For me, when I was thinking about the work in context to the word, the notion of social media and the private vs. anonymity of today’s online presence came to mind. The idea of the finger prints on these images, small traces of our movements and engagement in these new social encounters. Reading the words of Soren about the project enhances the immediate recognition I had as a viewer to these traces which she uses to her advantage to create these images. 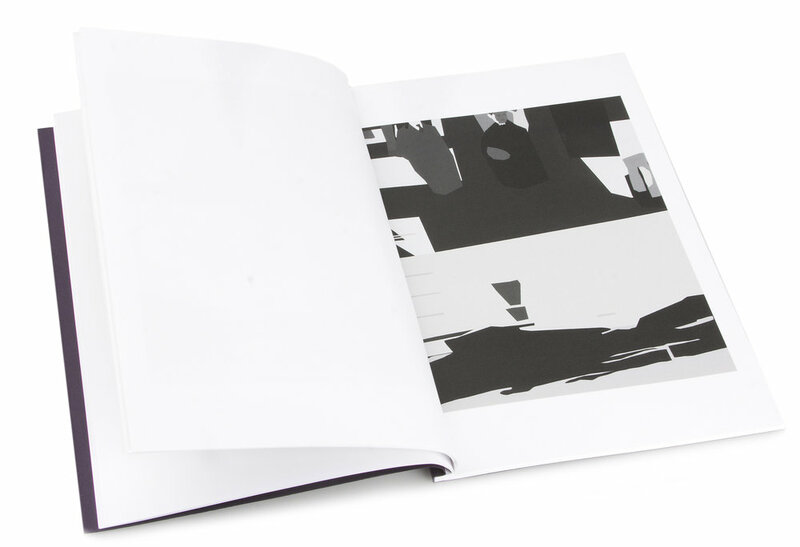 Finally we get to the last book in the series – work by Penelope Umbrico. I think that anyone who knows of Umbrico’s previous work, this is an extension to many of her interests. Umbrico’s sense to look in to small details that are almost banal and trivial in our everyday but highlighting them in an almost obsessive manner, giving them not only a new meaning but an actual meaning that is transformative to us. Penelope highlights these small moments in the screen with a pretty aggressive and bold digital marking, which in itself creates a new layer of pixels within the given image. For me the biggest success of the publication is how each artist, in their own unique way created an essay about our social culture that we live in today. It is an accurate, disturbing and intriguing visual of what it means to be in the online space that we are all in. This is a great book to have in your library – as it’s not only a great triptych, it is a great way to have small books from three amazing artists at once. You should consider getting this thought provoking book by buying a copy here.